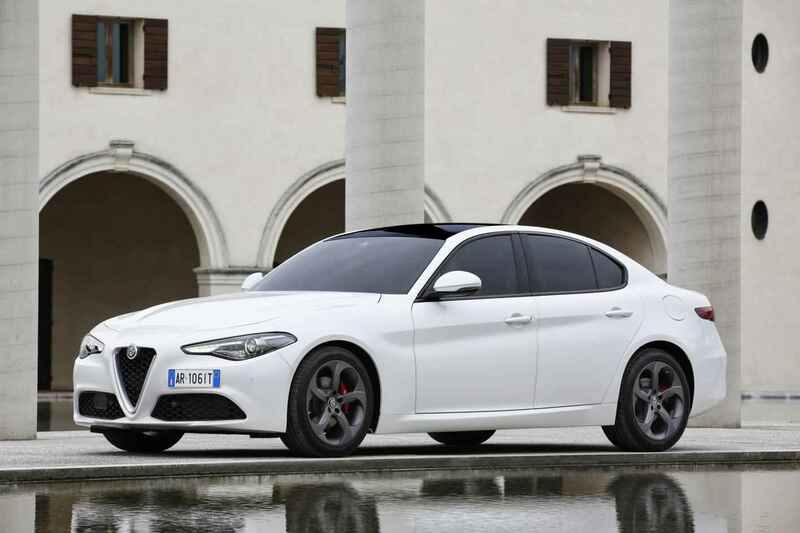 The all-new 2017 Alfa Romeo Giulia needs no presentation, the model becoming the carmaker`s last flagship to take on the big boys from the big league. Now, the entire lineup has landed on Australian soil, with prices to be revealed as well. The cheapest version is the Giulia 2.0t with a price tag of AUD 59,895, shortly followed by the Giulia Super 2.0t with AUD 64,195. Next in kin is the Giulia Super 2.2d available at AUD 65,895, while the Giulia Veloce 2.0t is priced at AUD 71,895. Finally, the top of the line QV, the direct competitor of the BMW M3 can also be had at a whopping AUD 143,900. Each version comes with its own styling and interior features, with different powertrains to differentiate them from one another. However, there are standard features equipping all variants, like bi-xenon headlights, 8.8-inch touchscreen interface with 3D satellite navigation, digital radio, leather upholstery, keyless entry and start, rear-view camera, cruise control, adding a plethora of safety features as well. In the engine department, the first two variants are equipped with a 2.0-liter turbo-petrol four-cylinder engine, with 147 kW and 330 Nm of torque, both hooked to a high-performance eight-speed automatic transmission. The entry level Giulia sprints from 0 to 100 km/h in 6.6 seconds, while the Super level is faster, allowing 6.1 seconds. The Super variant also comes with a higher engine in the form of a 2.2-liter turbo-diesel four-cylinder with 132 kW and 450 Nm of torque. This means that the 100 km/h sprint is done in 7.1 seconds, while the fuel-consumption has an average of 4.2L / 100 km. The Veloce version packs a 2.0-liter petrol turbocharged engine, developing 206 kW and 400 Nm of torque, needing just 5.7 seconds for the 0 100 km/h sprint. The fuel-consumption is also set at 6.1L/100 km. Finally, the top of the line Giulia QV, which has proved its exquisite performance in front of its direct competitor, the BMW M3, is equipped with the famous 2.9-liter twin-turbo V6 engine, with impressive 375 kW and 600 Nm of torque. The sprint is also done in 3.9 seconds. Considering the performance figure, the model burns out 8.2 L for every 100 km.